Weddinghousehold.com - Whether you’ve been practicing as a make up artists since you were at school course, it is not enough you have to develop the makeup skills and do projects more to create some portfolios. The important thing if you want to be a success bridal makeup artist or other professionals are hard work, dedication and patience – but the most important thing is you love your passion and set yourself up as a bridal makeup artist. In some countries such as the UK you can set yourself up as a bridal makeup artist without a state cosmetology license, and with the only initial outlay required being your makeup and a few administrative bits (insurance, online website etc), your business can be up and running fast!. 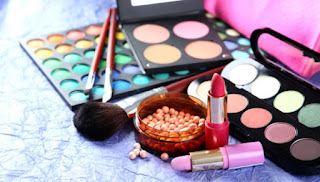 But it is different In the USA, you will need formal qualifications and an established track record, so these can certainly take time to obtain the requirements – but even so bridal makeup artistry can represent the fastest route to turning your makeup skills into a money making business. Sounds simple huh? Well in fact it can be – and so if you’ve got some experience and you’re ready to go your own way as a professional bridal makeup artist, here’s our list of things you’ll need to do to get started. Yes you will ultimately need to build an eye popping portfolio, and yes, you will 100% need to develop your network – but taking these first few steps can give you the momentum you need to get going. A makeup artist’s tool kit is undoubtedly as a very personal thing. Even if you’ve spent time accumulating makeup while it was just a hobby you may wish to put a specific kit together for taking out on the road. Not only can this make staying on top of what’s in it a lot easier, but if you keep and maintain brushes and tools just for clients this can lower the risk of cross contamination. We could make recommendations about specific brands and brushes, but in truth most artists will experiment themselves and figure out the things they need and love. We suggest you start to build your kit slowly. You can choose to use products that support a cruelty-free, natural skincare ethic. Our advice is get two colours in Neutral and warm tones on the light spectrum and dark spectrum each. ie. 1 Very light Neutral Foundation and 1 Dark Neutral and same with the warm versions. No need to buy every colour of foundation. More often than not, you can go to a makeup counter in i.e. John Lewis and ask for a sample colour of foundation (to test out) without having to buy a full product. Brands such as Kiko, Inglot, you can get lovely colours in eye shadows etc, for a fraction of the price of other brands. Also look online, you can find bargains everywhere. Everyone nowadays is online – and social media is no exception. It is an important role in most businesses. That said, you don’t have to get carried away in the first instance. You just need to stay relevant, blogging, tweeting and posting lots of pictures and some examples of your work. What you do in an online page is very important in most creative professions now. The key thing is that when you’re starting out keep things simple and cheap and make sure you’re focussing on finding customers. You should also take the time to add yourself to local business listings – it will take time for people to start finding you in Google – but this is an important first step on that path. When you begin there’s not much you need to worry about except getting customers – After your client was mostly from online, You can set up you business offline such as workshop or an office because of that your past clients will talk to others from word of mouth. This can often be tricky at the beginning as you won’t know what the market rate is – and if you’re starting out most people feel reluctant to charge even that. A good place to start is by seeing what other makeup artists are charging locally. You may then prefer to start lower than them, and gradually increase your rates. This is what Ash did, and she’s now on almost double where she began. This could (and probably should) be number 1 in our list – in theory you could use finding a client as the catalyst to go out and buy/complete your kit and get a website set up. Don’t be afraid to ask your friends and family in the first instance (although they might be more likely to expect a freebie). You can also ask them to refer you to brides to be that they know – make sure everyone is in your corner and primed with your contact details. It can take time before a trickle turns into a flood so don’t get discouraged – use all the spare time you have to practice your skills and market yourself. 0 Response to "Becoming A Success Bridal Makeup Artist, the 5 Things You Need To Do"